Glencrest Park has been renewed! 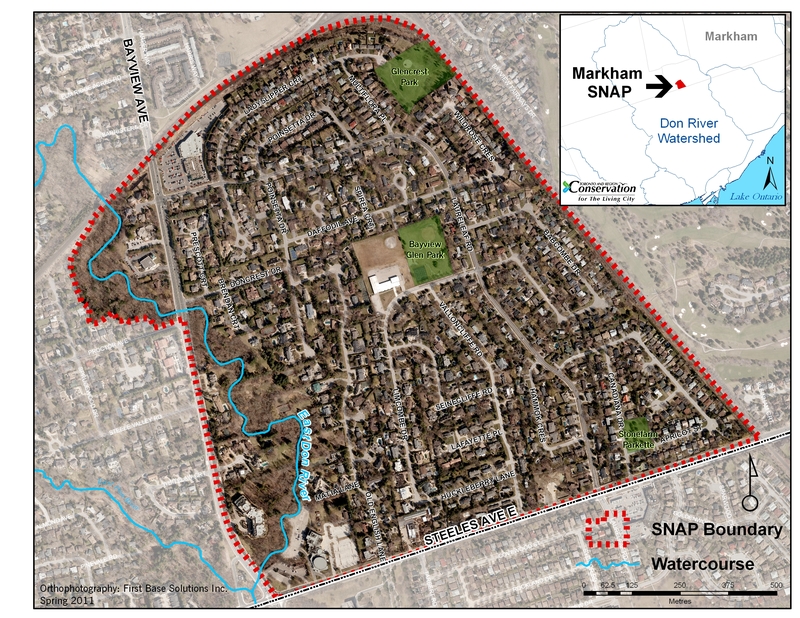 A storm sewer replacement project, planned as part of the West Thornhill Flood Remediation Strategy, provided opportunity for SNAP to re-imagine the outdated 1970s park and realize the residents’ dreams for the area, while achieving significant environmental and stormwater objectives. 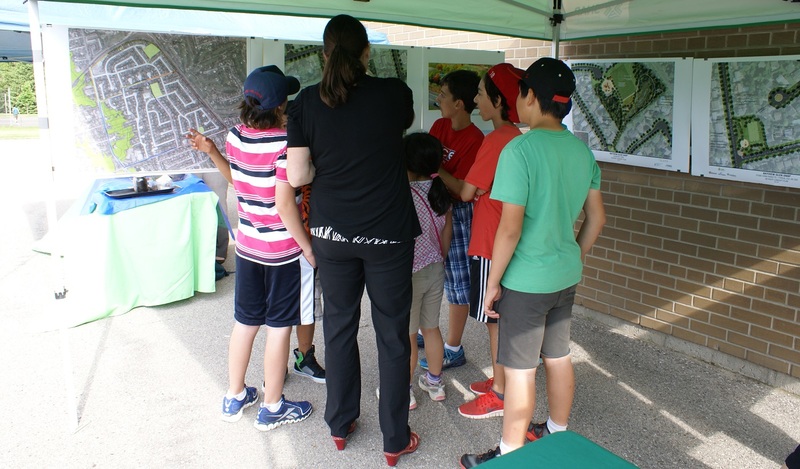 The design was developed in consultation with residents through two public meetings, a resident survey, and input from two community fairs at Bayview Glen Public School where numerous neighbours discussed the designs with the project management team and provided useful feedback. Their comments and suggestions were used as input to improve the concept designs. The renewed Glencrest Park now includes a modern playground, open play space, and a large rain garden surrounded by native plants, trees and shrubs with a wandering trail throughout. Previously the park was accessible only from Ladyslipper Court, but a new path leading into the park from Laureleaf Road now provides an entrance for the larger neighbourhood. This pathway itself is artistically imprinted with trackts from a few native animals found in the area, providing interest and an educational experience. A trail system connects key features within the park and provides an off-street pedestrian linkage between Laureleaf Road and Ladyslipper Court. Glencrest Park before (left) and after (right). The re-creation of the valley feature with rain gardens, commemorating the buried stream, has transformed the landscape within Glencrest Park from maintained turf to a rich mosaic of ecotones, creating a naturalized landscape and supporting the attenuation of stormwater runoff. In the first season, the native plantings brought life to the park in the form of birds and butterflies, enriching the local ecosystems. The looped trail system of approximately 600 metres surrounding the rain gardens provides opportunities for walking and jogging within a naturalized landscape setting. Newly planted trees throughout the park increase tree canopy and promote evapotranspiration. Glencrest Park received a $60,000 grant from the RBC Blue Water Project. This grant supported the implementation of the raingardens and tree planting and creation of a naturalized landscape that enhances the evapotranspiration and infiltration of stormwater. Implementation of the park renewal project started in October 2016. 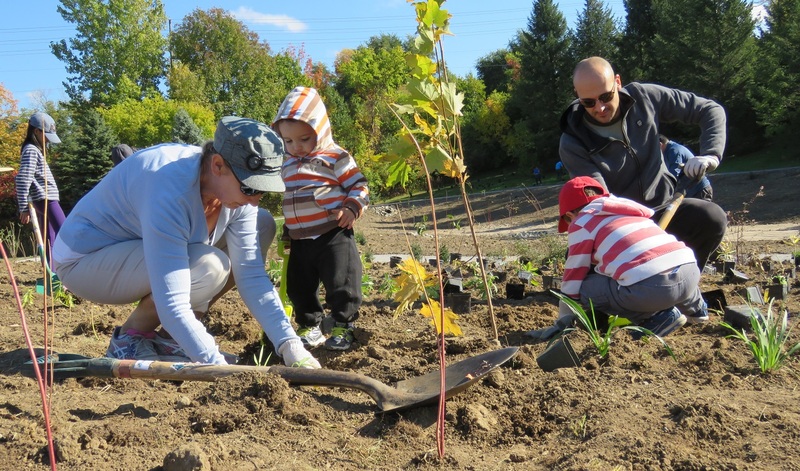 On October 17, more than 100 neighbours came out to plant 500 native trees and shrubs. At that same event residents also learned about environmental improvements that could be implemented at their own homes. The official opening takes place May 26, 2018, when the neighbourhood will come out to discover all the new ways to enjoy the park, and to learn about its vital functions in managing stormwater and enhancing the health of our ecosystems and natural heritage.